Wow, this week's election. I don't even know. It's been quite a whirlwind, to say the least. I am going to look past the pure craziness that is happening in public, on social media, and the news, and look right to my love of food. I have had a lot of really good food coming out of my kitchen lately. I mean really good. Good food usually makes people pretty happy, right? So, perhaps we should all cook some food for our loved ones, friends, neighbors, or even strangers. If it helps put a smile on someone's face and forget about their problems or the country's problems for even a minute, I call that successful. Yes? A home cooked meal is love in my book. Our temperatures lately have been more September-like then middle of November-like. It's very bizarre. And, I have a hard time getting into the holiday groove with above average temperatures. But, regardless of the temperatures and how I feel, I still have seasonally appropriate meals coming your way. So stay tuned, because you really don't want to miss them! 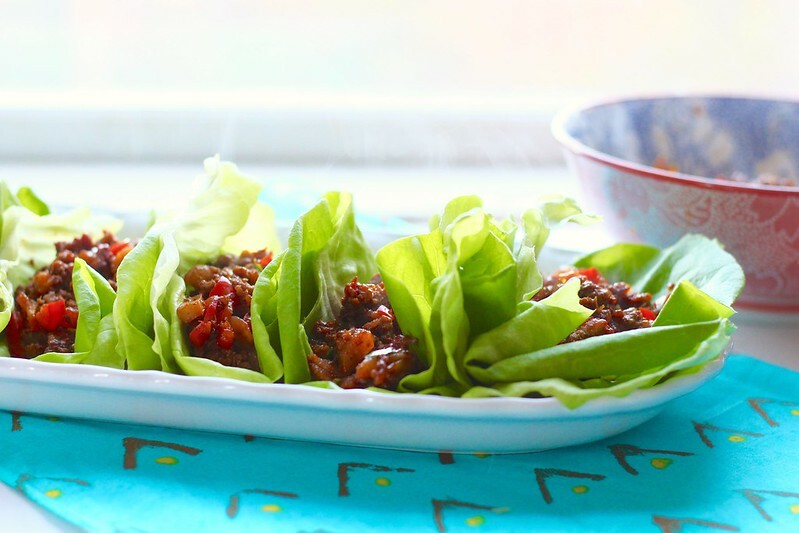 So, let's move on to these lettuce wraps. 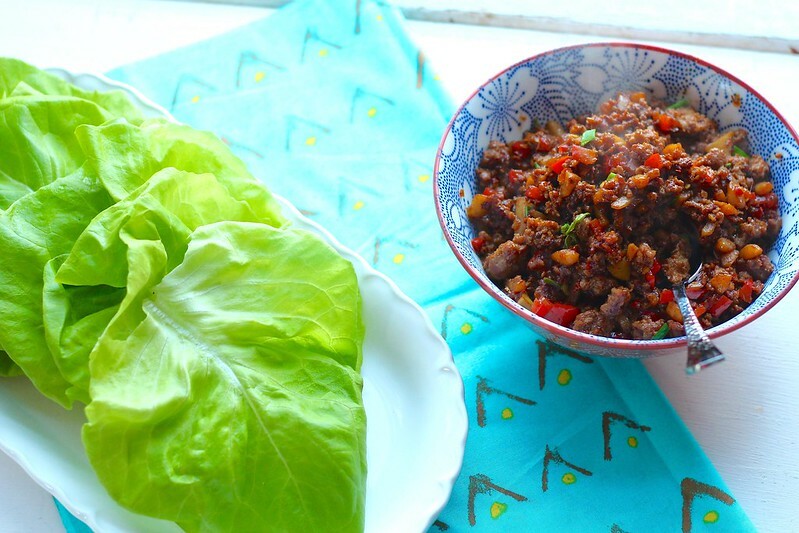 I am sorry to say, that I have never made lettuce wraps before. Gasp! I know, I know, where the heck have I been!? I suppose, I have never seen a recipe that has really caught my eye. That is, until recently. And now, I am obsessed. This is a really simple and fast meal, but ohmygawd. I used ground pork, but you could use ground turkey instead. A slightly sweet and slightly spicy sauce is whisked up and cooked in with the meat and vegetables. 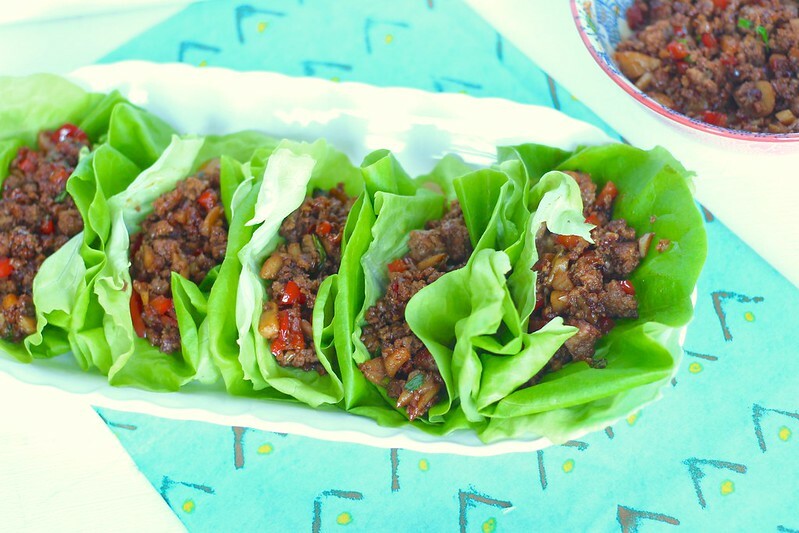 In return, makes a delicious mixture, which you then spoon into butterhead lettuce leaves and devour. 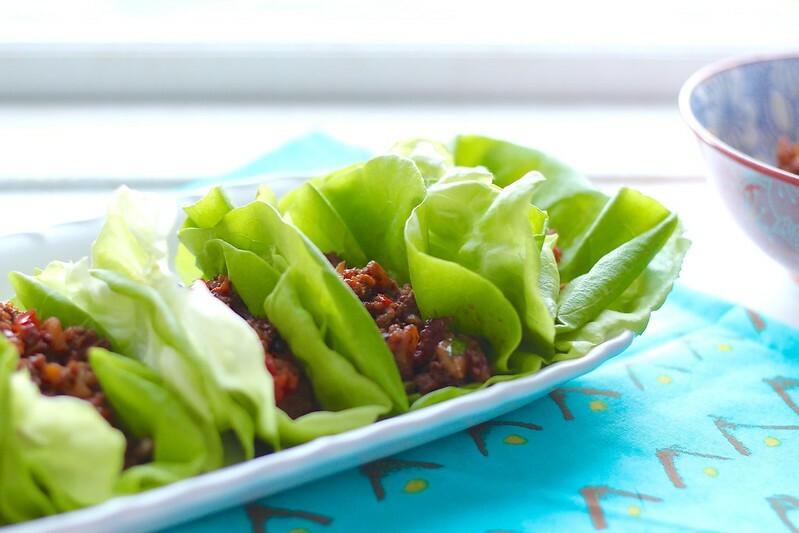 If you aren't acquainted with butterhead lettuce, you need to introduce yourself immediately. You will be rewarded with a silky, smooth lettuce that has the perfect crunch (yes, we are talking about lettuce). Put this on your upcoming weekly menu. You will be happy. To make the sauce, whisk together all ingredients in a small bowl. Set aside. In a large skillet, heat 1 tablespoon of the vegetable oil over medium-high heat. When shimmering, stir in the pork. Stir in 2 tablespoons of the sauce. Break the pork up with a wooden spoon and cook until well browned. Drain any fat from the skillet. Then stir in the scallion whites, garlic, and ginger. Cook for 1 minute. Stir in the water chestnuts, bell pepper, and the rest of the sauce. Cook until the liquid has reduced and thickened slightly, about 3-4 minutes. Stir in the scallion greens. 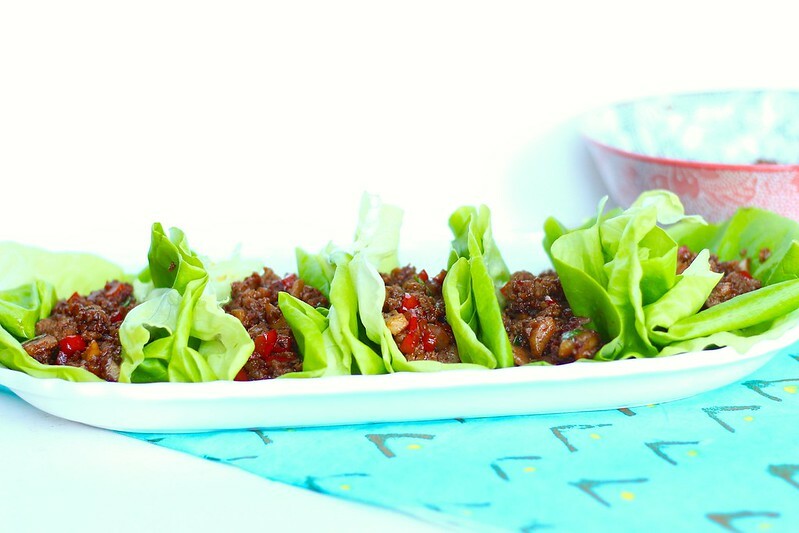 Transfer the mixture to a serving bowl and serve with the lettuce leaves for wrapping.